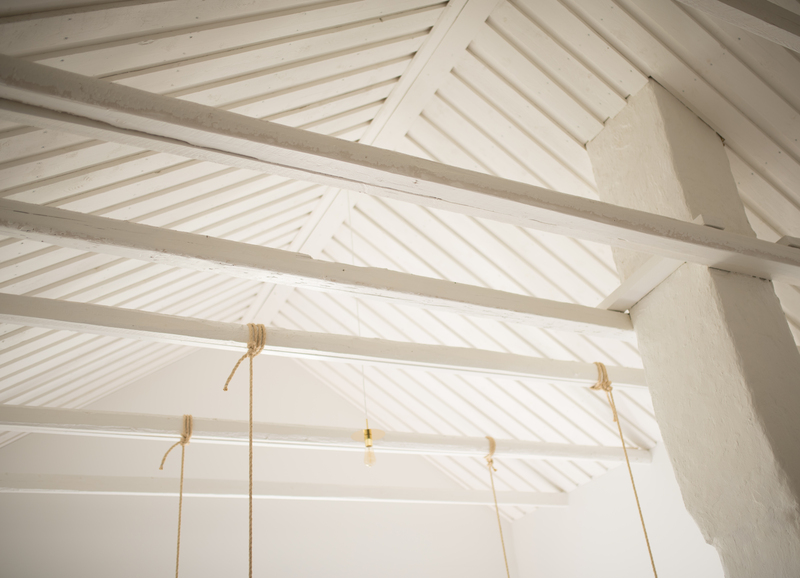 Last summer we made an extreme makeover to the upstairs of our summer house. Before the makeover the upstairs room was just one big empty space without any kind of interior designed for living. It had been used mainly as storage space and after a hundred years it was quite a sight to behold.We renewed every possible surface and the only original things we left visible, were the wooden timber walls that are essential to the style of this house. There were no separate rooms and the bottom of the roof and the wooden frame of the house were visible. Even a decent floor was missing, basically the top of the downstairs roof served as a floor. We had a successful team behind this project. I was in charge of the interior design, and the men in the family (my dad & my boyfriend) took care of the actual construction work. My sister helped me with the main design with some details and our mom served as the voice of reason, since we had some pretty crazy ideas along the way! All in all, we are all very pleased with the outcome, since this is an important place for us all and we managed to make the place even more special than before. The biggest room in house is a combination of a bed room and a living room. Since the house is an old farm house it has a high, pointy top which makes the room really high, the highest point being 5 meters. I love it! 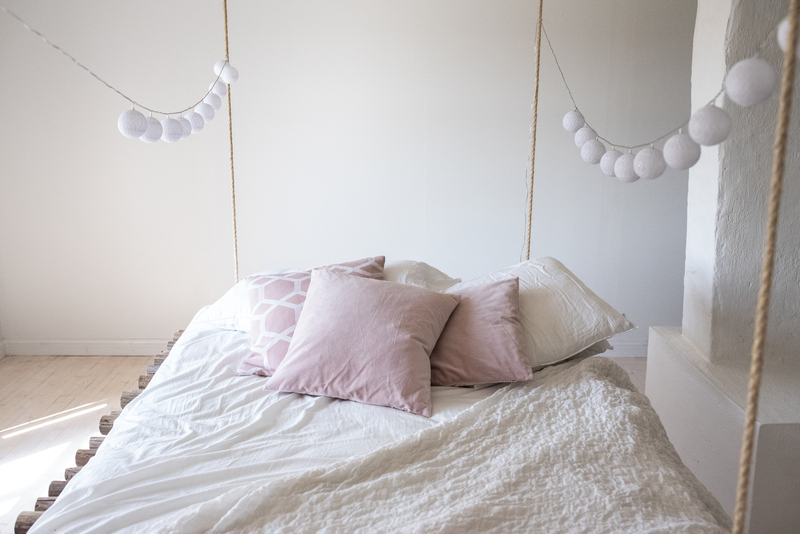 The height of the room means that the room will remain cool even during the hottest summer days and it makes sleeping a lot easier (yes, there´s no modern A/C, since it doesn´t belong into an old wooden house like this). The floor is of course wooden and wooden floors are the best! They make lovely sounds when you walk on them. Every floor has its own sound, it´s almost like they have their own personalities! Now, I´d like to introduce the crown jewel of the room, the daybed. I love it so much, I think everyone should have one. 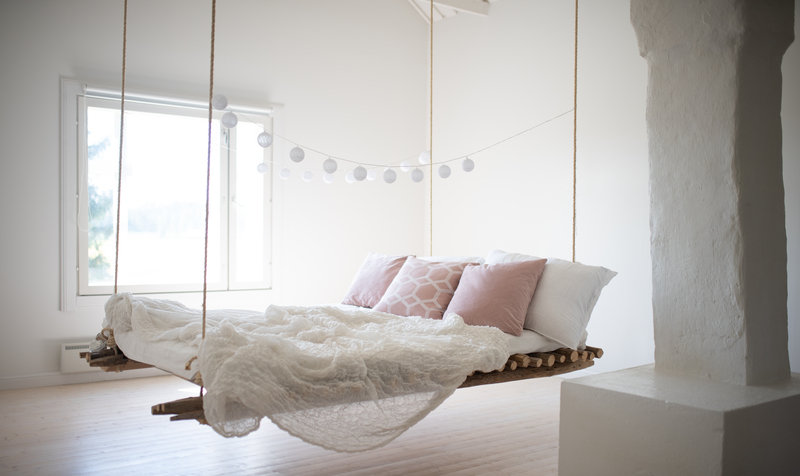 It´s a perfect place for hanging out, chillaxin, watching Netflix and napping. The best part of it is that it´s self-made. I´m usually not big on DIY projects, but this was an exception that came out perfect. We had a couple of hundred old hay poles laying around, so we decided to create something out of them. I got the idea from Pinterest and since my boyfriend is pretty handy, he did the rest. 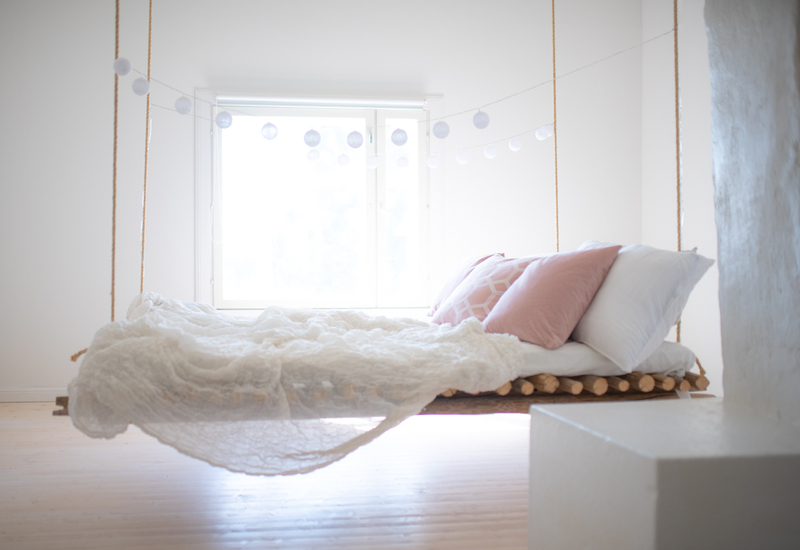 To make this kind of daybed, all you need is 20-25 hay poles, 10-20m of rope, two 2×4 boards, screws, a mattress and a place to hang it from. Ours is hanging from the wooden frame boards of the roof, which makes the whole thing look pretty nice or what do you think?